Bruce Springsteen received a special Tony Award for his one-man show, “Springsteen On Broadway”, at the 72nd annual edition of the event in New York City on June 10. Hosted by Josh Groban and Sara Bareilles and broadcast by the CBS-TV network, Billboard reports Billy Joel presented the New Jersey rocker with the special honor during the ceremony at Radio City Music Hall. The singer returned later in the broadcast to deliver a stripped-down and deeply personal rendition of his 1984 track, "My Hometown", that gave viewers a glimpse of what makes his one-man show such a singular achievement. 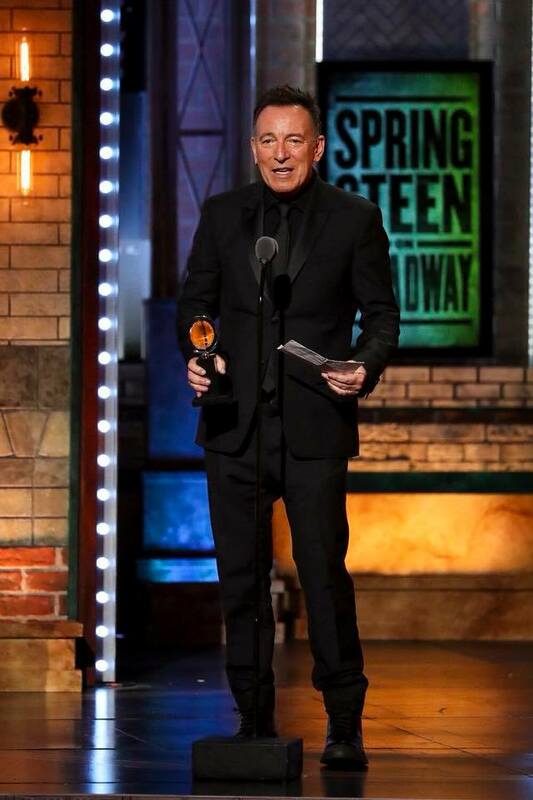 After a warm introduction from Robert De Niro – who made headlines for his opening line “F**k Trump!” to wild applause from the crowd and added, "Do you have any idea how hard it is to get tickets for Bruce Springsteen's show on Broadway?!" – Springsteen strode over to the piano and began reciting childhood memories of his home on Randolph Street in Freehold, New Jersey. He played softly as he reminisced, speaking of growing up "surrounded by God and all my relatives" near St. Rose's Cemetery, where people did the best they could to "hold off the demons, outside and inside, that sought to destroy them." “Springsteen On Broadway”, which launched last fall at the city’s Walter Kerr Theatre, will wrap up in December after a total of 236 performances. Springsteen was one of two performers to receive a special Tony Award: actor John Leguizamo was also honored for his body of work and for his commitment to the theatre, bringing diverse stories and audiences to Broadway for three decades.